The administrative offices of the City of Tillamook will be moving to a new temporary location at 2211 3rd Street, which is the old Ticor Title office. City Hall will be closed on Thursday, November 15th and Friday, November 16th, to begin the move and will open at the new location on Monday, November 19, 2018. This move will be temporary while the historic City Hall building is being renovated, outside and inside, for most of the 2019 year. City Council meetings, beginning in December 2018 will be held at the Tillamook 911 building meeting room at 2311 3rd Street. Council meetings will continue being held on the first and third Monday’s of each month at 7:00 P.M. unless there is a holiday. 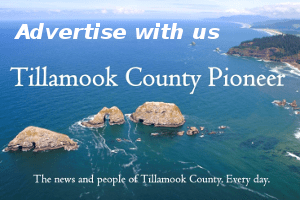 Tillamook City Planning Commission meetings will also be held at the 911 building meeting room on the first Thursday of each month at 7:00 P.M. beginning in December 2018. Tillamook Urban Renewal Agency (TURA) Board meetings will be held at the Tillamook County Library Main Branch in the Hatfield Room on the second Wednesday of each month at 5:30 P.M. beginning in December 2018. All other City public meeting locations will be listed on the posted agenda for each meeting or you can call City Hall at 503-842-2472 to find out more information about any of the upcoming meetings during the renovation period.